CAREEM Celebrates Spirit of Pakistan Day! I am sure most of you have heard about "CAREEM", its a private car booking service offering reliable, convenient and secure transportation to citizens. 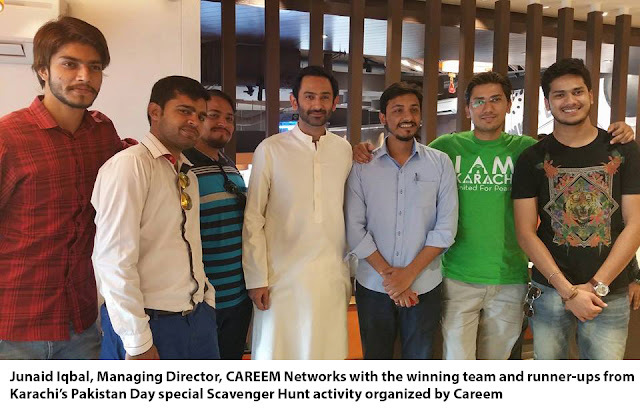 Careem celebrated spirit of Pakistan Day through a Scavenger Hunt Spread across Historic Locations. Read More to Reveal More!!! 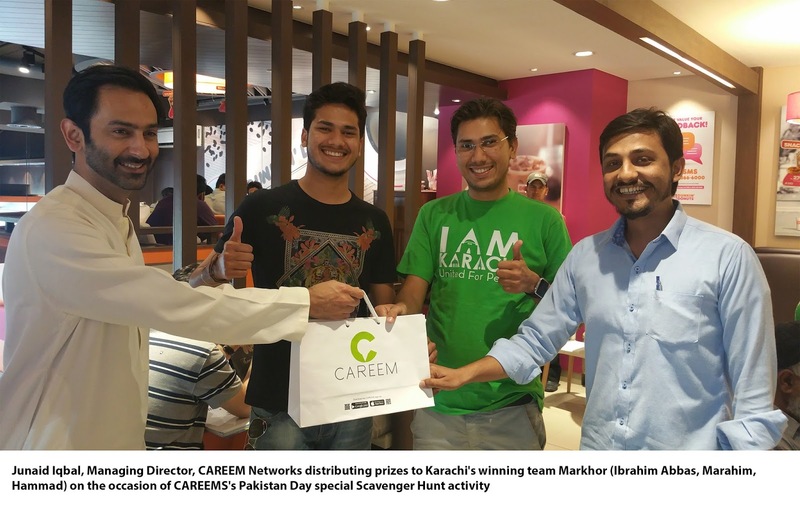 Karachi – 23rd March, 2016: CAREEM, Pakistan’s leading app for booking chauffeur driven cars, conducted a scavenger hunt for public of Karachi and Lahorein celebration of Pakistan Day. Themed around photography of local cultural &historicsites, the hunt saw participants, based on clues provided,racing tovarious locations of their respective cityby utilizing CAREEM’s services. 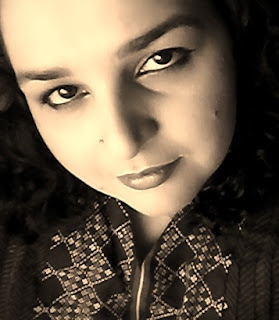 The monuments for the competition, as decided upon by the management, were the Quaid-e-Azam Library, Lahore Fort, Azadi Bridge, Lahore Museum and Fortress Stadium in Lahore and Pakistan Air Force Museum,Tomb of Abdullah Shah Ghazi, Hindu Gymkhana, Jehangir Kothari Parade and Karachi Goan Association in Karachi. 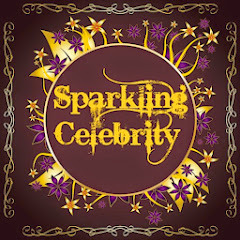 36 participants from Lahore and 27 from Karachi were chosen to take part in this unique scavenger hunt through a prior registration process. 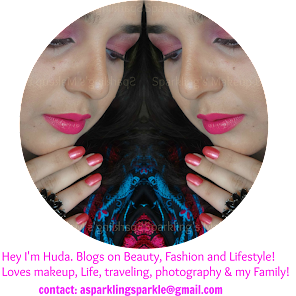 Beginning at 11 am, the participants, along with their loved ones, went about their respective cities to take a picture of each location, upload it to Twitter, Facebook and Instagram using #CAREEMPAK #PakHunt #(teamname) as hashtags before moving on to the next. Team Markhor from Karachi and Team KalaJadu from Lahore, the winners of the competition, were able to upload pictures of all the locations by 3:00 pm on Wednesday, the competition’s deadline. 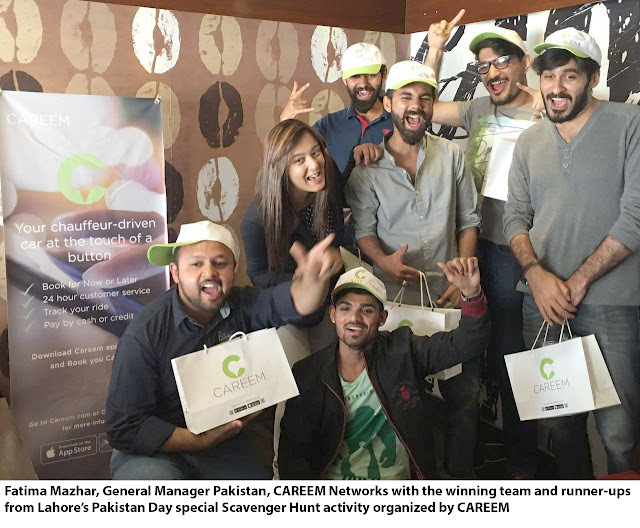 The hunt concluded with a closing ceremony at both cities, where winners and runners-up were handed prizes by CAREEM’s Management.